Raisa Liebenson believed she and her family would be safe when fighting broke out in her hometown of Donetsk, Ukraine. But when the 78-year-old’s apartment was destroyed by a mortar shell that rendered her temporarily deaf, she and her husband knew it was time to leave. 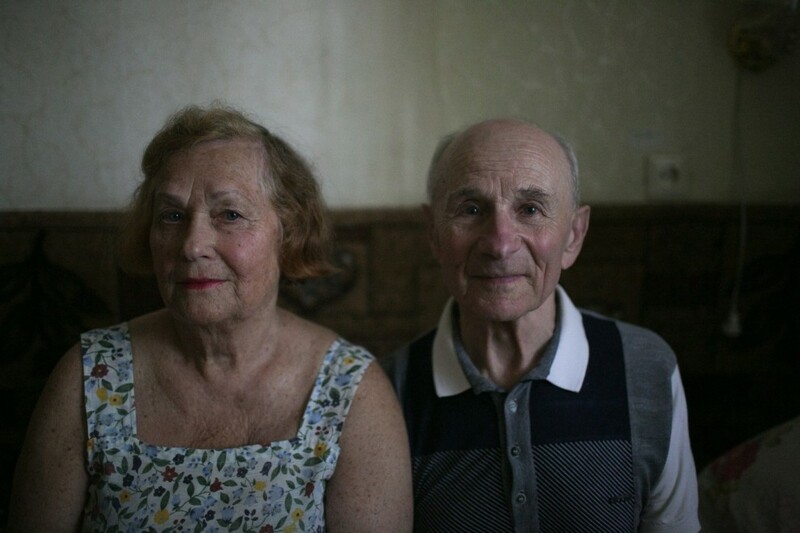 Together, the elderly couple fled to Pavlograd, a city located a few dozen miles from the front lines, where they’re receiving much-needed help from Federation partner the American Jewish Joint Distribution Committee (JDC) and its network of Hesed social welfare centers. They’re not alone. More than 3,000 other Jews who’ve escaped the conflict in eastern Ukraine—many of them vulnerable young families and seniors—depend on JDC to help them survive. JDC provides shelter, in centers and temporary homes for internally displaced people. The agency helps them pay rent and provides them with clothes, shoes, and a monthly stipend for food, medicine, and other essentials. During brutal winters, they receive blankets, socks, and other warm items to help ward off the cold. Raisa is particularly grateful for the basics: the meat, cheese, sour cream, and oil that allow her to feel some comforts of home while displaced. “We would not survive these eight months in Donetsk without Hesed,” she says. Raisa’s not sure whether she and her husband will ever get back to their home in Donetsk, or if they should build new lives in Pavlograd. But one thing is certain: No matter where they are in Ukraine, they will be able to count on JDC.